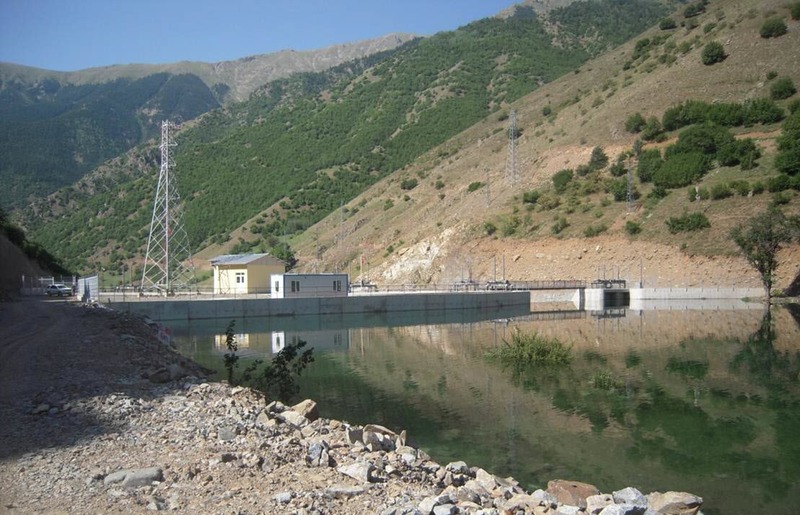 A run-of-the-river hydroelectric facility is that in which little to no water storage is held behind the dam, providing a near constant upstream water surface elevation. Water is allocated using priorities and diverted through the turbine on a daily basis. Hydroelectric power is estimated using the hydropower equation, given water level behind the dam and hydraulic losses through the outlet. The model was then simplified and generalized before being added to our library so other users can make use of it in other projects that have a similar type of facility for generating power. You can find a description of the model and download it from our Help Center library, here. 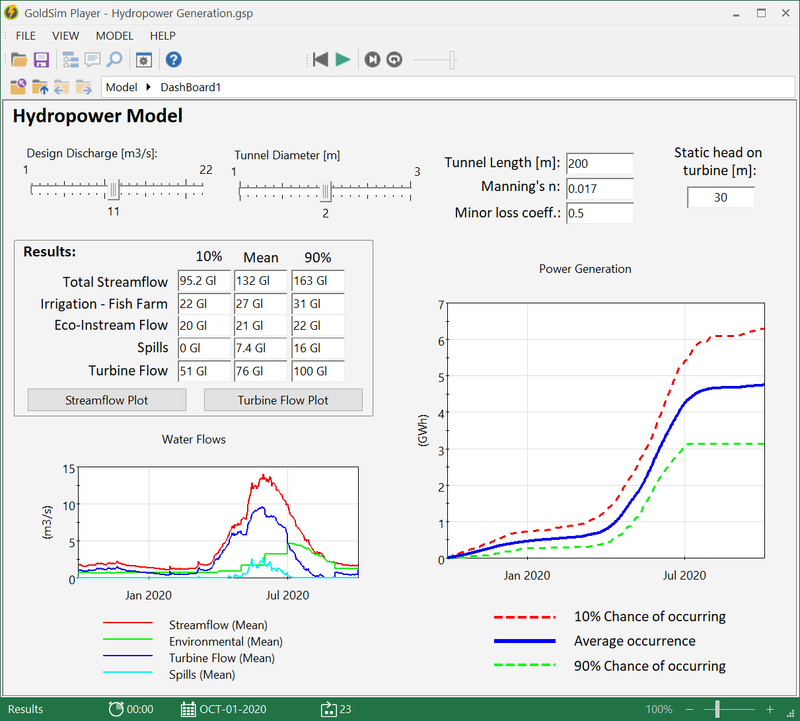 A dashboard is used for this model to provide a summary of annual flow and power generation results. 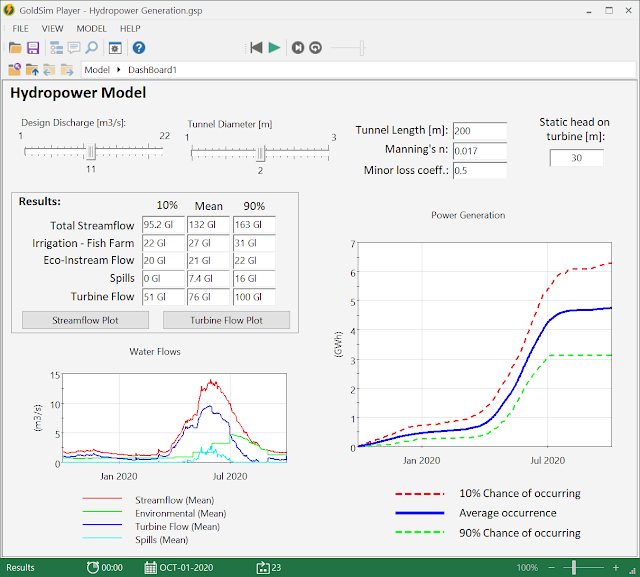 you can adjust the design capacity of the turbine and the size of the conduit used to send water from the upstream side to the outlet on the downstream end. If you choose a smaller size of pipe, then the hydraulic losses increase, causing a proportional decrease in power generation. Note the statistical results are due to the model being run in Monte Carlo mode where each realization of the model references a different year of the historic streamflow record. An interesting aspect of this model is how the water stored behind the dam is ignored. 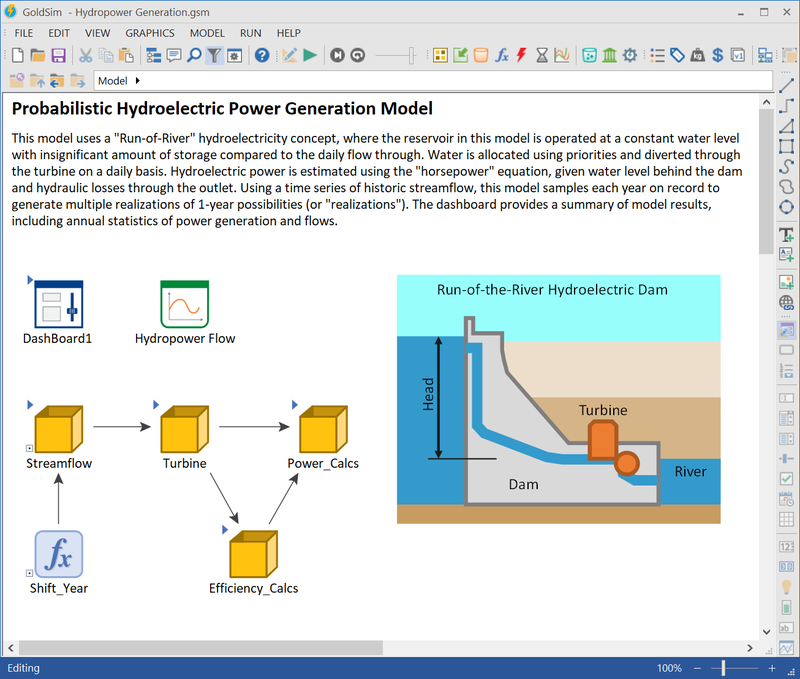 This means you could exchange the Pool element with an Allocator element and get to the same answer because all we are doing is telling the model how much water we want to flow through the turbine and anything else will flow over the spillway. 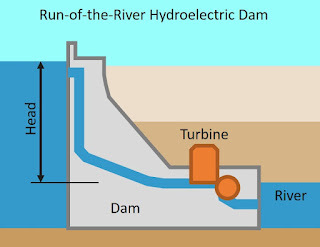 If you use a Pool or Reservoir element, make sure to set the upper and lower bound equal so that any water not sent through the turbine is sent downstream. For more information about the model, please contact the author of the model, Emre Dulkar. His contact information can be found here.